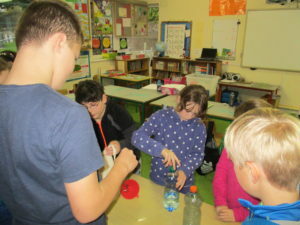 Science Week was November 12th – 16th and we had a special event on November 15th. 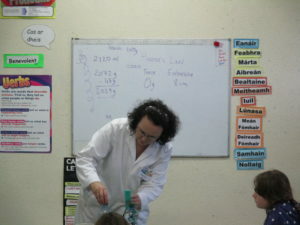 A lady from Anyone4Science came in and did some activities with us. In the Senior Room she talked about Forces. We did an experiment that proved Hooks Law. 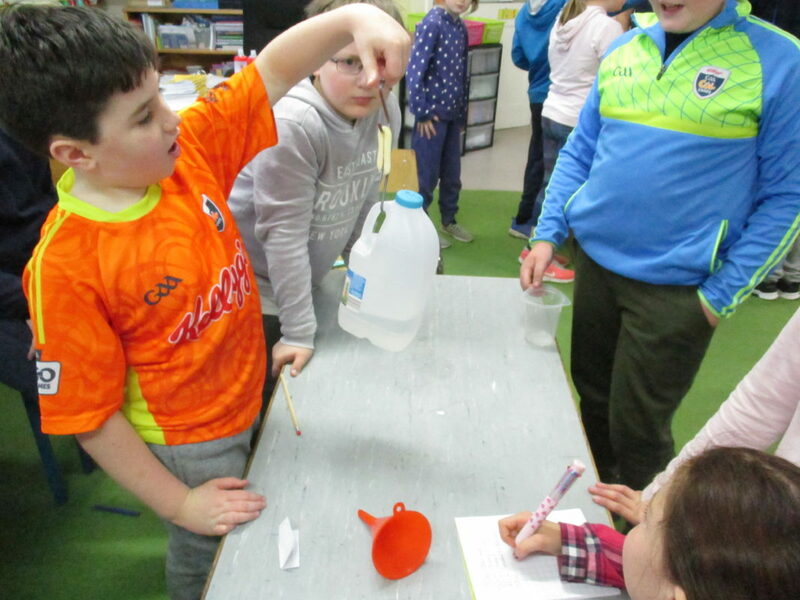 It showed that force and extension are proportional to each other. The more the force, the more something expands. We used a sweet between two hooks and a jug of water. The heavier to jug of water got the further the sweet expanded between the two hooks. We also learned about Architecture. 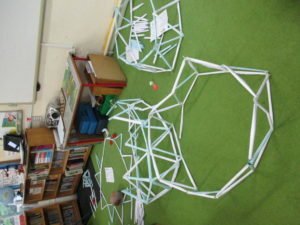 We designed geodomes. In the Junior Room Angela did “forces” with us. We made our own see-saws and Holly’s favourite part was when she lifted Teacher on the see-saw. 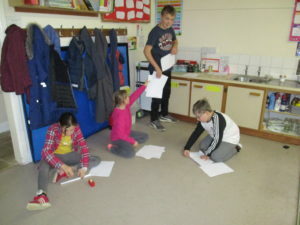 Angel helped us to make our own catapults and we launched pom- poms from them. After lunch she showed us how to play a number game.